Be inspired by the look, colors and uses of ornamental grasses. Do you have any questions after your visit to our site? call or mail us and we will answer your questions carefully. Our planning is based on year-round marketing. Sales start with a proper presentation on the salesfloor. Besides large batches, we also deliver a lot of plants for the day trade. 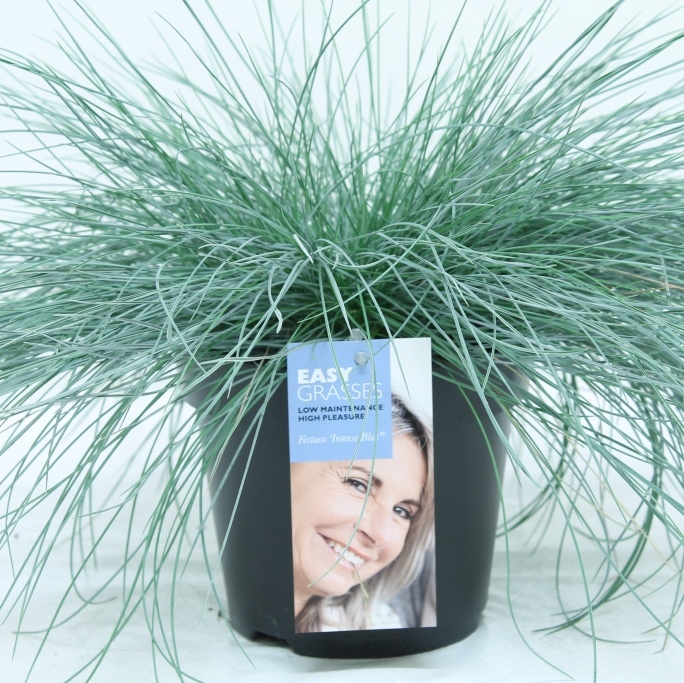 In case you would like to sell winter hardy ornamental grasses in your shop, the Carex oshimensis Everest, Eversheen and Evergold are very suitable species to order at your supplier. These Carex species are known for staying green during the winter, but they are also very easy to maintain. Would you like to sell these types of ornamental grasses? Please contact Allure Tuinplanten, an international nursery and supplier of a wide variety of ornamental grasses of high quality. We guarantee that we can deliver the exact ornamental grasses you need. 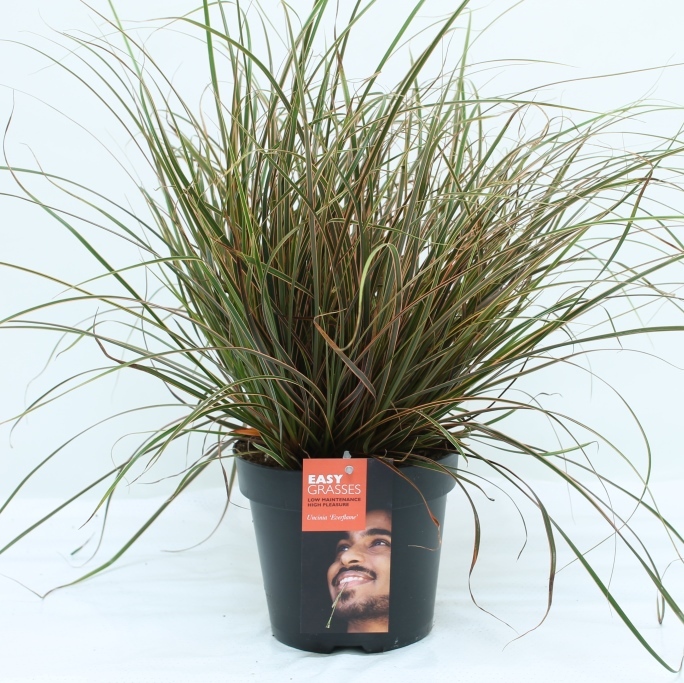 Carex oshimensis Eversheen, a very suitable ground cover or container plant. 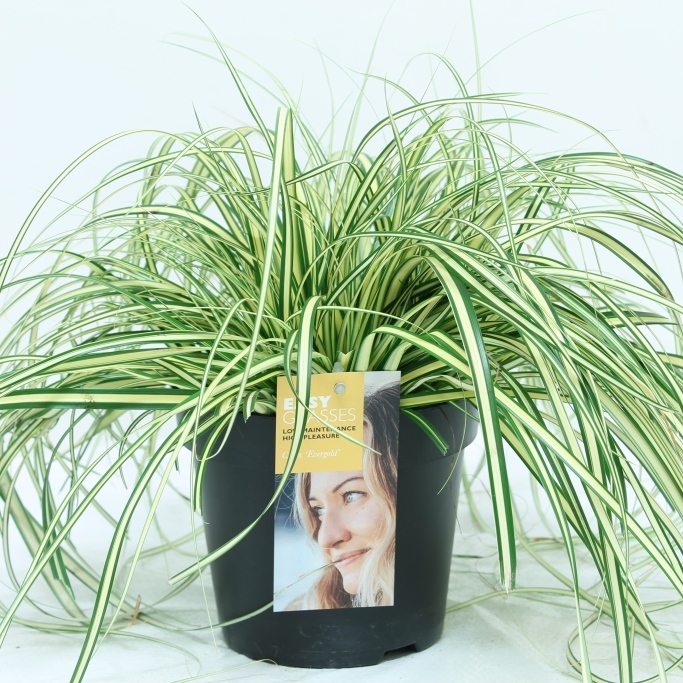 The Eversheen can be recognised by its lime yellow striped foliage and its fresh appearance. Carex oshimensis Evergold, thanks to its long golden leaves with deep green margins, the Evergold has a grassy look. This species tolerates light shade and can, therefore, be used for providing an evergreen border. However, they are also suitable for borders and containers. Carex oshimensis Everest, a Carex grass that contains white strips and a compact clumping habit. This characteristic makes the Everest a good candidate for mixed containers, perennial beds and borders. 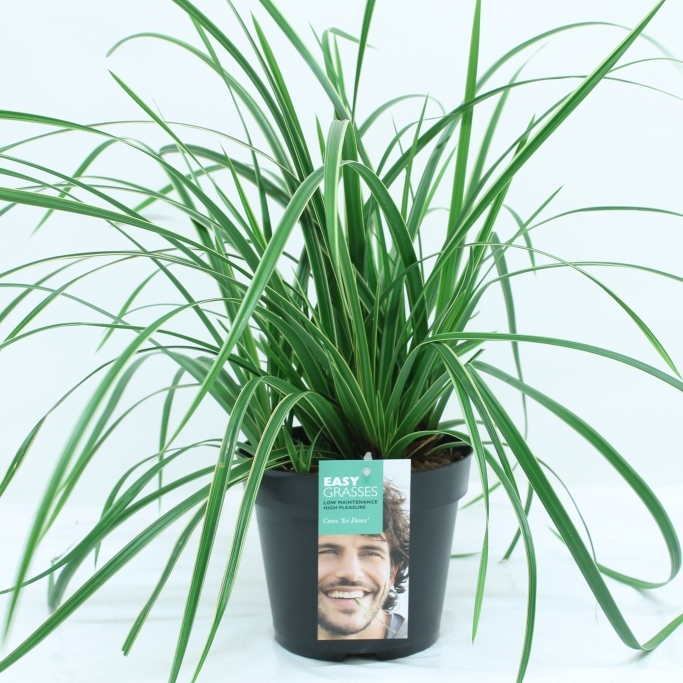 Would you like to order several species of the Carex grass, such as the Carex oshimensis Everest, Evergold or Eversheen? Allure Tuinplanten is more than happy to help you. Besides that we are able to deliver the ornamental grasses of your choice, we can also make your big deliveries visually attractive and, thus, ready for sale. We can provide your ornamental grasses ordered with a barcode and information label, for example. However, we can also think about the construction of tables and barrows in your shop and even deliver posters and banners, if needed. Would you like to obtain more information about the ornamental grasses we cultivate and the services we offer? We can tell you all about it when you call +31 73 511 5308. Do you have any questions after your visit to our site? Call or mail us and we will answer your questions carefully.